A Florida handgun manufacturer has reached an agreement with Blount Partnership to bring 350 jobs to Blount County with an initial $22.5 million investment, constructing a 150,000-square-foot campus to house corporate, research and development and manufacturing facilities. The 68 acres in Big Springs Industrial currently does not have road access nor utility infrastructure extended to the property. Under the agreement announced today under sunny skies outside of Blount Partnership office, SCCY (pronounced “sky”) Industries LLC pays $25,000 an acre for 68 acres in Big Springs Industrial Park for a total cost of $1,703,050. 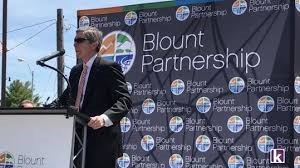 However, in exchange for providing its own road access and utilities infrastructure, Blount Partnership will write a check for the same amount back to SCCY. For its part, in addition to building out the infrastructure, SCCY plans in its first phase to construct a $22.5 million, 150,000-square-foot campus that will employ 350 people. Additional construction and employment phases will be announced at a later date, and the location is expected to be operational in the first half of 2018. SCCY founder and CEO Joe Roebuck said during today’s announcement that SCCY needs to expand and it’s “not happening” at its current location in Daytona Beach, Fla., where it employs almost 200 people. “We’re at about 40,000 square feet and there’s no room to grow,” Roebuck said, explaining that the biggest problem the manufacturer has there is space and electricity.